Coptic Christians in Kom El-Loufy need to go to a nearby village if they want to attend church meetings. The more than 1,600 Copts in the village of Kom El-Loufy in Minya, Upper Egypt are still waiting for a new church building, seven years after their previous building was closed the same month it was opened. Ever since the Copts started looking for a new venue, they have experienced fierce opposition from their Muslim neighbours, who say they should build their church outside the village, where they can “pray in peace”. In July last year, local Muslims set fire to four Coptic homes, suspecting that a newly built house would be turned into a church. 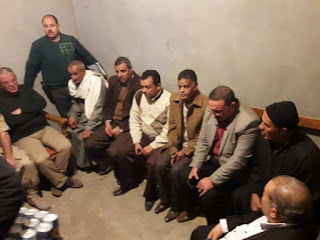 When the Copts met for a celebration on Holy Thursday this year, in the week leading up to Easter, Muslim villagers gathered in front of the house where the celebration was being held, attacked those who were there and burned down three homes. An official application for a license to build a church in the village was first filed ten years ago but has still not been granted. As World Watch Monitor reported last year, it is almost impossible for Coptic Christians to obtain a license to build a church in Egypt although, according to Coptic news site Watani, a law that was signed in 2016 includes “a clause that allows de-facto unlicensed churches to obtain license to legally operate as churches”. Gamal Samy, a Christian who lives in Kom El-Loufy, told World Watch Monitor that during a “reconciliation meeting” between Copts and Muslims in April, a plot of land was allocated for a new church – but it was 2km outside the village. The Copts were also asked not to display any religious symbols, such as crosses, so the building would not look like a church. 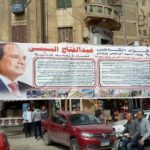 Samy added that the area was used as a “terrorist hideout” between 1998 and 2002, during the reign of President Hosni Mubarak, “so for us to build a church there is similar to committing mass suicide”. On 9 July, the Kom El-Loufy Copts met with MPs to discuss their plight. Ezzat Ibrahim, a human rights activist and Director of the Egyptian Center for Human Rights in Minya, recalled how on 9 July a meeting was held between some Members of Parliament and elders of the village representing the Coptic and Muslim communities, when the Christian villagers proposed two alternative locations for their church. The next day, 10 July, they met with National Security officers from the Interior Ministry, as well as the Minya governor, who refused their request. 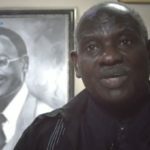 According to Ibrahim, “it is clear that the security [officials] are afraid of the occurrence of sectarian tensions”. Samy said the Coptic community came to both meetings with two suggestions to resolve the issue. “We told the Minya governor [on 10 July] that one option would be to allow us to reopen our closed building. The other idea was to give us permission to build a church on a piece of land nearby the homes of some Christian villagers on the outskirts of the village,” he said. But Samy said the governor rejected both their ideas and instead told the Copts they should accept the land on offer, 2km outside of the village, which governor said was the solution agreed upon during the April reconciliation meeting. The Coptic community disputes this. Samy said another proposal was that the Copts could worship in another village, but Samy said “there are more than 1,600 Christians in Kom El-Loufy and the nearest church in any of the surrounding villages would not have the capacity to accommodate both us and the Christians in that village. So we do need a church in our village to pray”. He said the main complaint from the Muslims in his village stems from the rhetoric in a book called ‘Matn Abi Shuga’ (Matn al-Ghayah wa al-Taqrib), written by three renowned Sunni scholars in the 12th century. The book teaches that it is “not permissible to build churches in the land of Muslims”; and that if a church has been built, it should be demolished; and if it has been demolished, it cannot be rebuilt. Watani said the Muslim villagers had insisted Kom El-Loufy is a “Muslim village”, that Copts are only “a minority” and that it is not right that a Muslim village should include a church, which, they said, would cause “intolerable sectarian tension”. Following the release of the suspects of last year’s July attack on Coptic homes, pending an investigation, the Kom El-Loufy Copts published a statement in August and received a parliamentary hearing. MPs pledged to resolve the crisis and guarantee the safe return of the Copts to their homes, which they promised to help reconstruct. 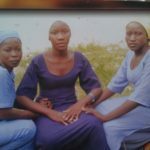 But as World Watch Monitor reported in March, eight months later the families were still homeless and had been threatened with more violence. 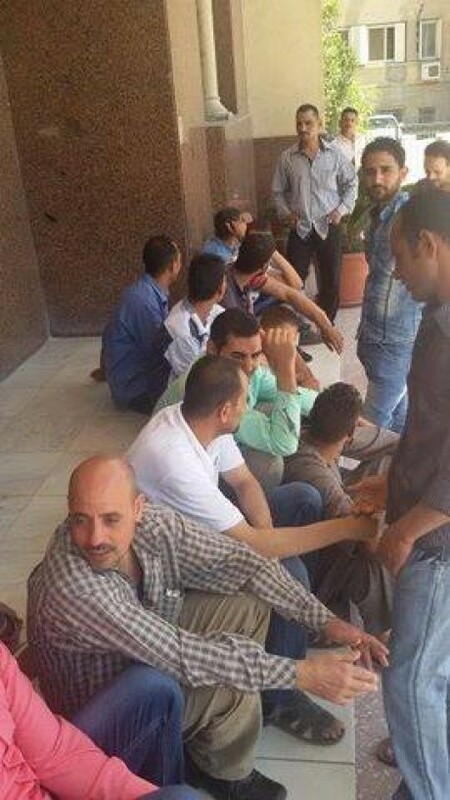 The Kom El-Loufy Copts organised a sit-in at St Mark’s Coptic Orthodox Church in Cairo. On 4 June, some of the Copts went to Cairo to hold a sit in at St Mark’s Coptic Orthodox Church, pleading with Coptic Pope Tawadros II to come to their aid. 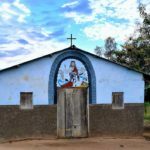 Copts have experienced similar challenges in the nearby village of El-Galaa, and also in Saft el-Khirsa, a town of around 12,000 – including approximately 70 Christian families – which has ten mosques but no church. 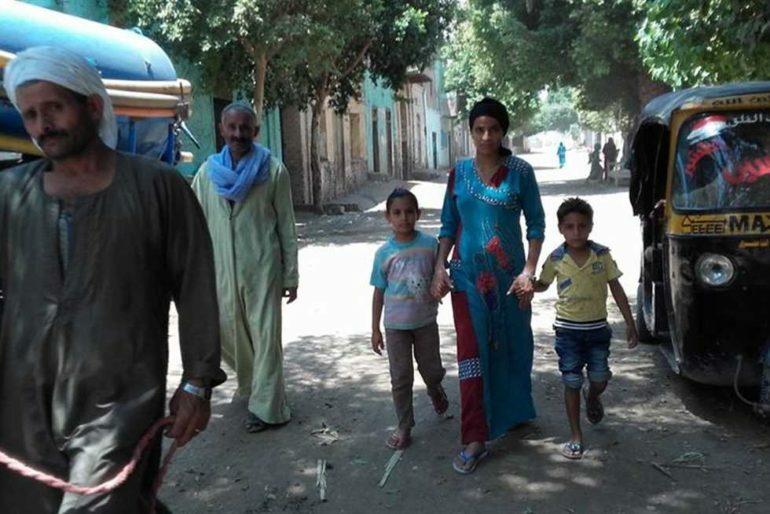 Meanwhile, Watani reported last month in the village of Dabbous in Samalout, near Kom El-Loufy, Copts have not been able to meet in their church since 2005. 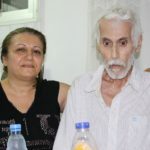 He said that some of the Christians in Kom El-Loufy have considered moving to Cairo and that fellow Christian villagers have tried to convince them to not leave the village. “But I’m afraid that we have come to a stage where we cannot control the people any longer, as they have had enough of the injustices and suffering,” he said.